Love the sparkling lights of the city but want to get away from it all on your New Zealand trip? 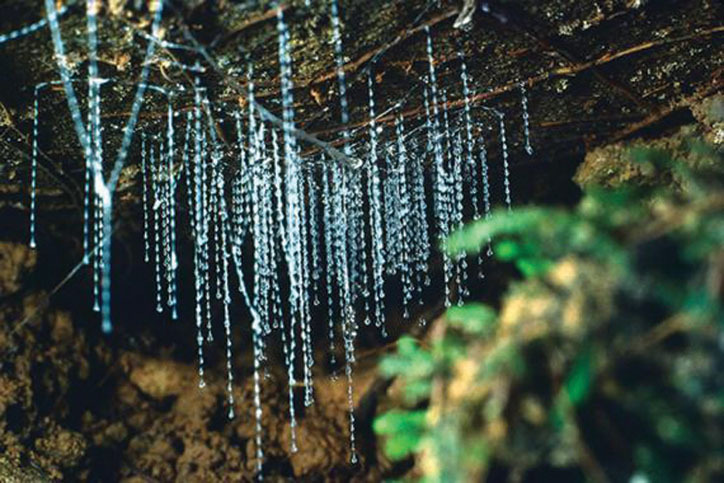 A visit to Waitomo Glowworm Caves awaits you in the King Country. A Kiwi icon, it’s a favourite with nature lovers of all ages, full of history and magic. 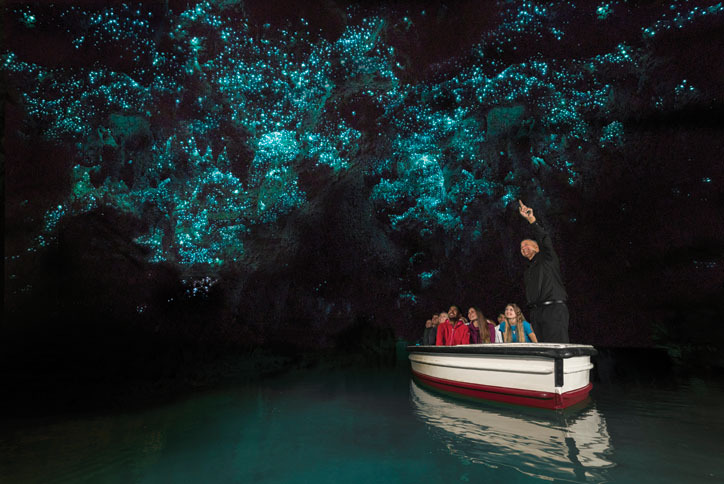 Here are some of the best reasons to book a visit to Waitomo Glowworm Caves on your New Zealand holiday! 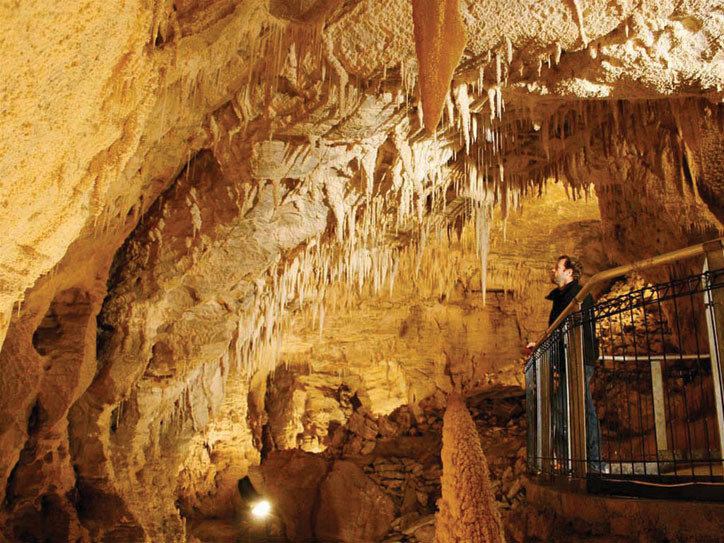 The famous caves at Waitomo were carved by underground streams eroding soft limestone over thousands of years, although the stone itself has origins going back as far as 30 million years, when the region was still under the sea! Some of the limestone formations are huge but grow by only 1 centimetre in 100 years… slow and steady wins the race as they say! The Māori name “Waitomo” can be translated as “the stream which flows into the hole in the ground”, which is a pretty accurate representation of the stunning features that Waitomo is known for – underwater streams and lakes, surrounded by pointy cones made of limestone known as stalagmites (rising from the floor), and stalactites (descending from the ceiling)… a sight to behold! But of course, the star of the show is the living lightshow in the ceiling… it’s dotted with countless glowworms, found exclusively in New Zealand, and they provide the only light in the cave. It’s a magical sight that must be seen to be believed. Take a walk through the various caves and cap it off with a relaxed boat ride down the underground river through the glow worm grotto! We offer a range of options to experience Waitomo, for travellers booking self-drive or coach tour holidays. Here are a couple of our most popular options – contact us to discuss a custom itinerary! Depart from Auckland on a 1-day adventure to Waitomo as you follow the mighty Waikato River, New Zealand’s longest, down to Waitomo and the caves where you’ll be treated to the magical glow worm experience. Afterwards, lunch at Roseland’s Garden Restaurant is included in your price, featuring the area’s freshest food! Enjoy the scenic drive home and you’ll be back in Auckland in time for your evening plans. An overnight trip lets you discover a world of natural wonders at Rotorua… after visiting the glow worm caves of course! At Rotorua you can visit the famous geyser at Te Puia or catch a show at the Agrodome, great fun for all the family. Day 2 starts with a leisurely morning before making your way to the Hobbiton movie set in picturesque Matamata, it’s a film buff’s dream! Your journey takes you back through the rolling hills and farmland of Waikato before concluding back in Auckland. 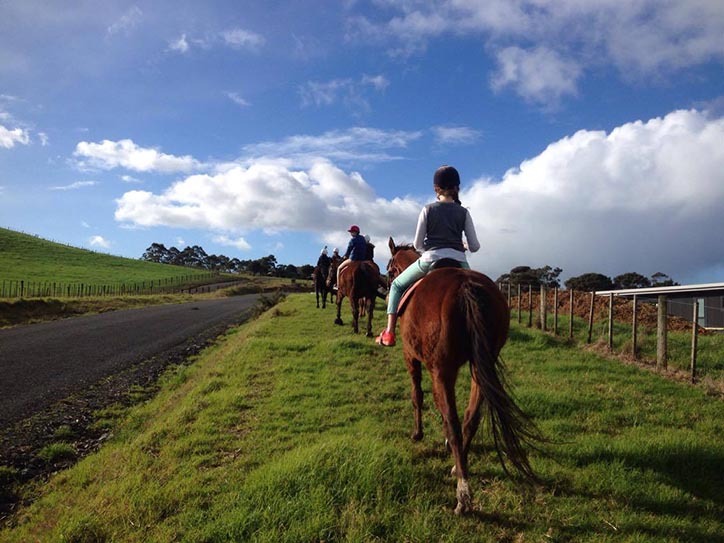 Farm shows and guided horse treks provide a taste of country life in New Zealand, while a visit to Otorohanga Kiwi House gets you up close and personal with New Zealand’s iconic Kiwi! There’s walking tracks long or short in Pureora forest, and hunting and fishing tours are available. Get the best of the King Country rural experience and see twinkling lights in a whole new light.